This book demystifies and explains a subject that affects every one of us in our private lives and at work. Security is a practical discipline concerned with safeguarding lives, property, information, wealth, reputations, and social wellbeing. It is the basis of civilised society. People, businesses, and nations cannot thrive in its absence, whereas the right kind of security frees us to live fulfilling lives. But deciding what is needed, and then making it happen, is not easy. The threats to our security are complex and continually evolving, as criminals, hackers, terrorists, and hostile foreign states continually find new ways of staying one step ahead of us, their potential victims. At the same time, we are continually creating new vulnerabilities as we adopt new technologies and new ways of working. 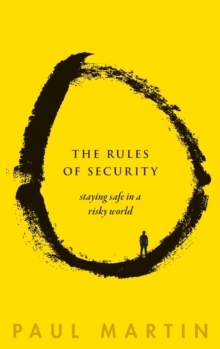 Those who do not understand the fundamentals of security, risk, and resilience open themselves,and those around them, to avoidable dangers, needless anxieties, and unnecessary costs. Inadequate security may leave them exposed to intolerable risks, while the wrong kind of security is expensive, intrusive, and ineffective. 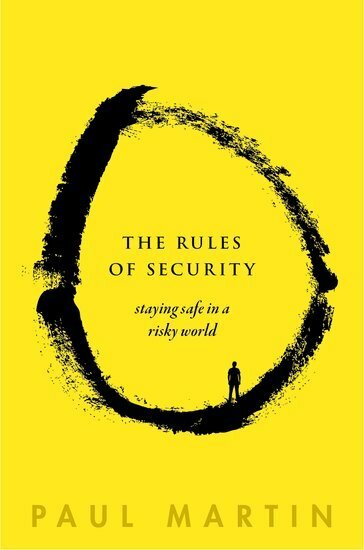 In his essential new book, world-leading security expert Paul Martin sets out the ten most important guiding principles of protective security and resilience. Clearly expressed in the form of simple but powerful rules of thumb, their purpose is to help solve complicated problems for which there are no textbook solutions. The rules offer a powerful toolkit, designed to work in many different situations, including the cyber domain. When we are faced with novel problems requiring complexdecisions, it is easy to focus on the wrong things. These rules remind us what really matters. The psychological and behavioural aspects of security are key themes throughout the book. People lie at the heart of security. The criminals, terrorists, and hackers are social animals with complex emotions and psychological predispositions. So too are the victims of those attackers and the security practitioners who strive to protect us. The human dimension is therefore crucial to understanding security. The Rules of Security will help anyone with an interest in their own security and that of their home, family, business, or society. It will be indispensable to those in positions of responsibility, allowing them to understand how best to protect their organisation, people, and assets. It assumes no expert technical knowledge and explains the ideas in clear and simple terms. It will appeal to anyone with an interest in security. If you read only one book about security, it should bethis one.